As winter finally bids goodbye, we now must welcome spring. To prepare for this season, we must see to it that the carpets around our houses are in their most pristine condition. We can do a general cleaning of our houses as most folks after winter do, but when do we know that we are sufficiently dirt free? How do we assure ourselves that we have done our best to secure the health of our families inside our homes? In Need of Carpet Cleaning in Colorado Springs? Having carpets inside your home means that you care enough to give the very best comfort to you and your family. Thus, these things need to be taken care of by cleaning them regularly. There is also a need to check on their condition. How long has it been since you sought the help of a professional company to do that for you? Carpet Care Craftsman understands these dilemmas and can help you restore these home essentials to their original state. Being healthy does not only mean that we eat healthy and exercise regularly. It also means that we live in a comfortable space that is free from dust and stains. Our home is a place where we find solace; thus, we should maintain its cleanliness. When we are mindful of how much dirt our shoes carry with them as we walk in and out of our house every day, we can be aware that our carpets and flooring are prone to dirt and bacteria as well. Apart from having you and your family be assured of a longer and healthier life, the longevity of the quality of your carpets can also be achieved through their professional services. It would also mean a brighter living environment and germ-free home. Having these professionals assist you with your carpet cleaning needs would also help you save time. They know how much folks in the area value time. Busy folks like you, aside from work, also deserve time to bond with your family at home. A house that has clean carpets, rugs that are free from odor, brand-new-looking tile flooring, and comfortable upholstery is a house that has been professionally cleaned. Carpet Care Craftsman is here to help you achieve all these things and more. You can count on Carpet Care Craftsman to be responsible for identifying what you need, solving all your carpet cleaning problems, and restoring your carpets to their original quality. If you are worried about the cost of carpet cleaning, be assured that you’ll get more than what you paid for with us than with another company offering subpar cleaning services. At Carpet Care Craftsman, we have always prided ourselves on our high-quality service when it comes to carpet cleaning, rug cleaning, and tile and upholstery cleaning. 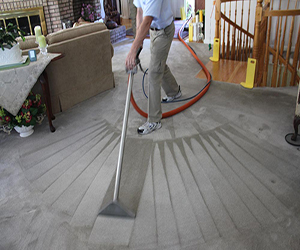 They operate mainly in Colorado Springs and are considered as a top carpet cleaner in the area. The company has a reputation for doing business that is thorough and that exceeds expectations. Their recommended services go beyond the usual as they take care of the residential, commercial, and carpet repair needs of their customers through their friendly yet skillful approach. Carpet cleaning to them is more than just the mere vacuuming of your carpets. Their 30-day guarantee is a promise that they are driven by results and that they are looking forward to serving you well. The quality of carpet cleaning services that you can expect from our team is what motivates us. There are those who give free estimates on the cost of similar services but none as realistic as Carpet Care Craftsman. A free estimate would mean a cost-efficient figure which, suffice it to say, would cater to all aspects relevant to carpet, area rug, tile, and upholstery cleaning. Learn more about Colorado Springs carpet cleaning, area rug and upholstery cleaning here. With our friendly and approachable team, you can easily ask questions about the proper care of your carpet, area rug, tile flooring, and upholstery. Our answers and recommendations are honest and direct to the point. You will surely learn the benefits of having a carpet free from dirt, stains, and bacteria when you choose us. Click here to learn about our area rug, tile, upholstery, and carpet cleaning services in Colorado Springs.